Some might think that keeping a dream journal is trite and corny, but it actually helps with recalling your dreams. You exercise and train your mind to remember your dreams. There are several reasons to enhance your recall. Dream recall is a crucial element in LD’ing. If you can’t remember an LD, how can you develop your skills? Dream journals are essential to lucid dreaming. They are a form of entertainment. I’ve had some really outlandish dreams that were so funny, I’ve woken myself up laughing on several occasions. Most of us spend six to eight hours a night sleeping. That’s a third of our day, which means we spend a third of our lives sleeping. Dream journals help us to remember the third of our lives that most of us forget about. 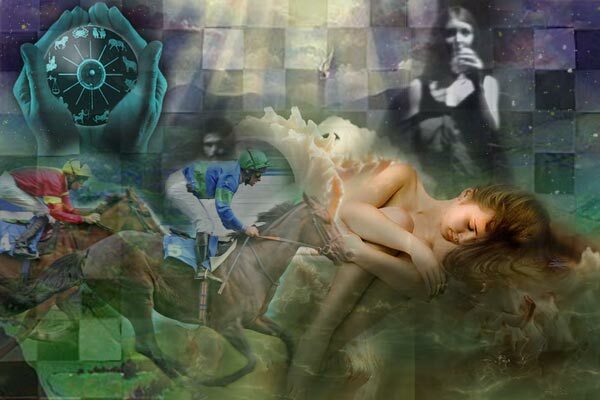 We often have recurring dreams with underlying messages. Recording these dreams can help us decode the message and perhaps solve a problem in our waking lives. Paul McCartney, Mary Shelley, Steven King, and Abraham Lincoln—among others—were inspired by their dreams. Maintaining a dream journal and enhancing your recall could do the same for you, too! A lucid dream (LD) is a dream in which you are aware that you are dreaming and, after some practice, you are able to control what happens. There are many things to do while lucid. You can go on a tropical vacation or go skiing; you can make the rain stop, summon long-lost friends, deceased relative or famous celebrity. You can fly into outer space and freefall back down to Earth. You can conquer a dragon and dub yourself King. The possibilities are endless! Some LD’s can be fun when you have a good deal of control over your surroundings, others can be scary. The following is a short LD that I recorded on July 13, 2007. It is an example of one of my more fun and successful LD’s. “I woke up and it was still dark outside. Matthew had already left for work. I got up out of bed. I knew something didn’t feel right. ‘I’m dreaming!’ I yelled over and over again. And I mean I really yelled it. Loud and clear! I had never felt so lucid in a dream before. I thought to myself, I know I’m dreaming and I’m in control, so let’s try flying through the ceiling! I took off and flew outside. Something was wrong, so I flew back inside. I felt as if my vision was still inside but my body was outside. Let’s try it again! The second try was successful. ‘Wait!’ I thought aloud, ‘if I’m really in control, I can summon someone. Someone I’d never really meet in real life!’ I flew back into my bedroom. After a minute, it dawned on me: ADAM BRODY! In contrast, the following LD is a small (edited) except from a very long dream recorded on March 12, 2008. This is an example of a LD gone bad due to a lack of control. “I began to fly around. Courtney, Bobby Flay and that stupid woman were nowhere to be seen. I told myself that because this was a dream, I could go anywhere I wanted. I decided on a tropical island. When I started to fly faster, picking up lots of speed, I closed my eyes and concentrated. I thought about my ideal island: white sand, palm trees and the bluest water in the world. When I opened my eyes, I found myself in the middle of a large, stormy ocean. Scared shitless, I quickly observed my rough surroundings. The gigantic fifty-foot swells rushed past me as I hovered just inches above the water, unable to fly higher to safety. The dark, gray sky looked like felt and only added to the terror. 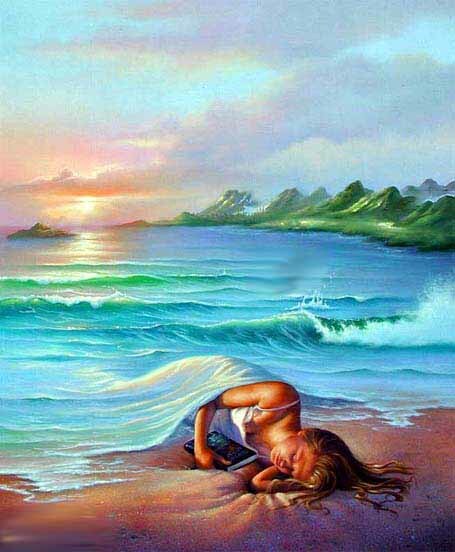 Afraid that a wave would take me down and I would drown, I closed my eyes and tried to change the scene again. This time I didn’t care where I ended up just as long as I was out of the ocean. The oldest dream I remember dates back to when I was about five years old. It’s silly when I look back on it, but at the time, I woke up in tears. My mum rushed into my bedroom to see why I was crying. I lied out of embarrassment and told her I missed my aunt—who lived in New York City. To me, at the age of five, there was nothing scarier than witnessing a panda bear maul your father. Now, I think that there is nothing more amazing than being able to tell people my very first dream had a cameo by Teddy Ruxpin. The second oldest dream I can recall happened when I was ten. Men in all black, mime-like garb and wearing gigantic, white, plastic oval masks were trying to kill my family. 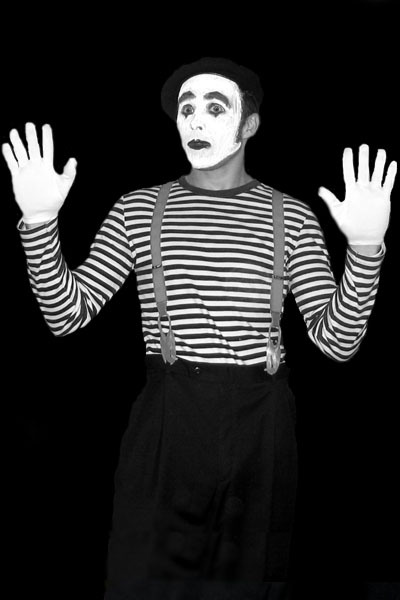 I discovered that the leader of this mime cult lived in a basement on my street as I watched him descend stairs through the sloped steel doors. “Why are you trying to kill my family?” I asked, following him down. As he turned, he took off his mask and revealed himself. Having a panda attack your father is petty compared to Gilbert Gottfried trying to annihilate you. I was terrified. The next couple of weeks as my mum walked me to school I held her hand tightly. Only in recent years have I been able to forgive Mr. Gottfried for his murderous attempts. My family will forever tease me. I can’t blame them. In 2007, I read the whole four sentences in my college psychology book about lucid dreaming. It briefly stated that those who are aware (lucid) that they are dreaming, while they are dreaming, can control said dream. No. That just sounds silly, right? “Consider this: if the average person spends 8 hours a day sleeping, and lives an average life of about 75 years, then he or she has slept nearly 25 years of her life away. Can we get more out of all those years than just rest? With lucid dreaming that’s a very real possibility, but before being able to control your dreams you have to be able to recognize that you are dreaming. Once you are aware you are dreaming you can alter your dreams and dictate what happens: you can do anything you’ve ever wanted, go anywhere you’ve ever desired! As I continued exploring the site, I read that many people experience a lucid dream their first night of trying when reading a lot about it. I didn’t succeed my first night of trying, but I did on my second night. It was a very nice and sunny afternoon. I was driving in my car, which was my car in waking life but a convertible. I had a feeling I was dreaming, so I tested it. I saw a For Sale house sign. The second time I looked at it, the color and text of the sign changed! I shouted, “I did it! I’m dreaming!” Then the next thing I knew I was standing by what seemed to be a pond and I said it again, “I’m dreaming!” I believe it was at that point I became lucid. I then got this very… amazing feeling ALL OVER MY BODY. It was cool, and comforting. My body tingled but in a good way. It was like a cool breeze before a summer storm, but inside my body. I felt at peace with everything. My favorite dreams are the flying ones so I thought to myself, “Let’s try flying!” Just as I was preparing myself for take-off, I got this new feeling in me. A feeling in the pit of my stomach because I felt like I was waking up. Things started to get fuzzy so I covered my eyes with my hands tightly and spun around yelling “No!” It didn’t work and I woke up anyway. The last dream I recorded was on September 8, 2008, so I’m a little rusty. Recording dreams greatly increases recall memory and recall memory greatly increases the frequency of DILD’s—or Dream Induced Lucid Dreams. I don’t remember the last time I experienced a lucid dream so this blog is my attempt to return to the world of lucid dreaming. We spend our waking lives busy with work, school, family and responsibilities. If we can control our sleeping world—a world of fantasy, lust and endless possibilities—let’s do it! Not only will my blog document my own adventures, but also I will include tips and answer any questions to help you on your own endeavors.